Polymer comes from Whitaker Blackall. The object is to slide the rows and columns to form big, complete chains. The bigger the chain, the more points you get. When your polymer is complete, tap on it to collect the points. There is a speed mode: get the most pts until time runs out. 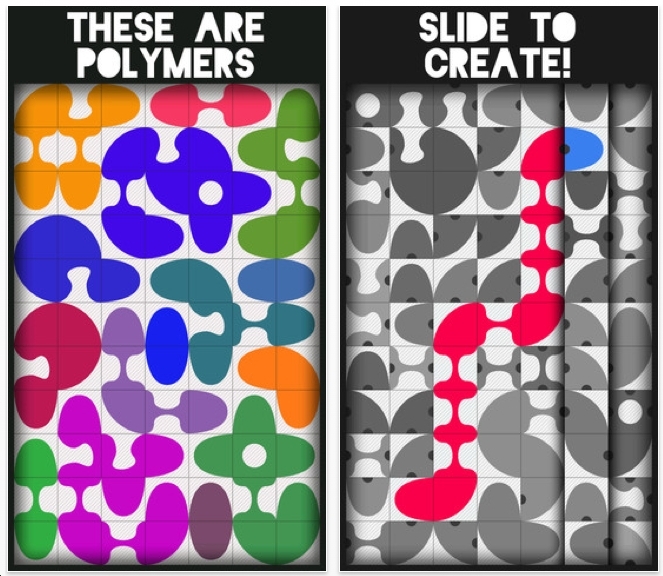 Polymer has a nice artistic feel to it.